I AM LITERALLY SO EXCITED THAT I AM BLOGGING ABOUT THIS. 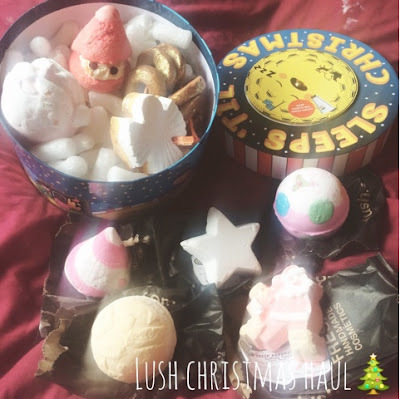 I have been waiting forever to be able to get my basket and shop the Lush Christmas Products. 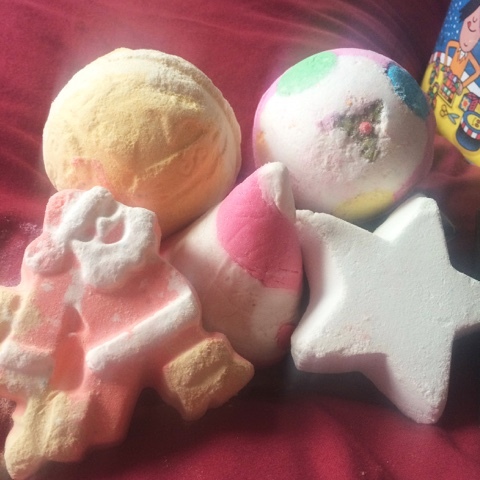 As you can tell it is my favourite time of year and Lush releasing these products gets me far too excited. 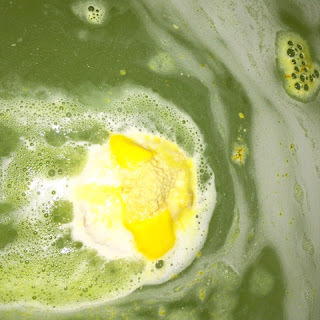 I hope you enjoy browsing the products and hopefully you can get inspiration to go into Lush yourself. First of all, back at the start of October I got a message from Keira saying that Lush had brought out an advent calendar. We were super excited, maybe too excited, that we bought it there and then. We never researched what the 'Sleeps 'till Christmas' was, but we both assumed that is was the advent calendar. Fast forward a couple of days and it arrives on the door step. It wasn't an Advent Calendar it was just a set, with a countdown on the top. But it is still very exciting as it features some of the new range so we were happy anyway. As you can see I have already used 'Intergalactic' and 'Frozen. 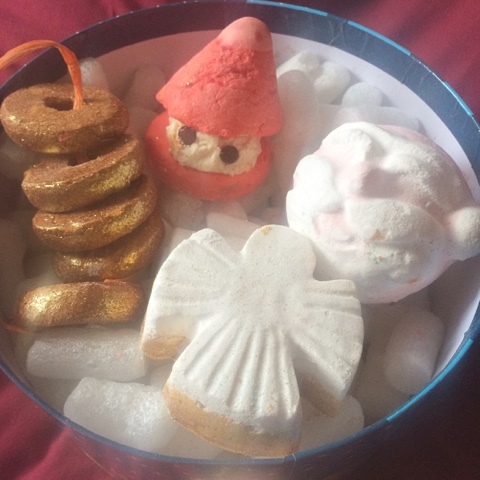 I really needed a bath bomb to relax and I thought they were the least 'Christmassy'. I am exited to use 'Father Christmas' as it smells a lot like Snow Fairy. 'Peeping Santa' is just adorable. I am weary to use 'Five Gold Rings' and 'Snow Fairy' as Lush glitter products can sometimes make my skin greasy but never the less it is still exciting. 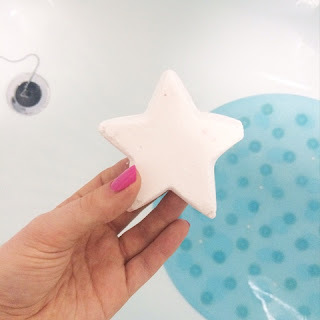 I then went into Lush with Keira to browse the collection, there was so much amazing stuff. We both got our baskets and went a bit crazy. As you can see from the picture I picked up 5 things! 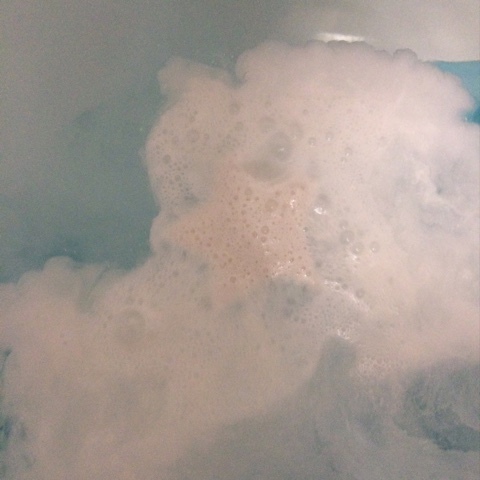 'Dashing Santa', ''Yog Nog', Luxury Lush Pud' 'Candy Mountain' and 'Star Dust'. I picked up 'Dashing Santa' as it looked so cute. It has a citrus, sweet scent. Reading reviews I can't wait for it to turn my bath red. any moisturiser after my bath. It smelled amazing so I would highly recommend. exactly how it smelled but is was very sweet. After it fizzed out there were tiny little multi coloured stars!! Overall I loved this! Lastly and most importantly CANDY MOUNTAIN! This has to be my all time favourites scents. I can't beat Candy Mountain! I think someone should start a petition to get Candy Mountain all year round. Hope you enjoyed this haul, Let me know if you purchased any? Who is excited that it is 32 days until Christmas?!! !